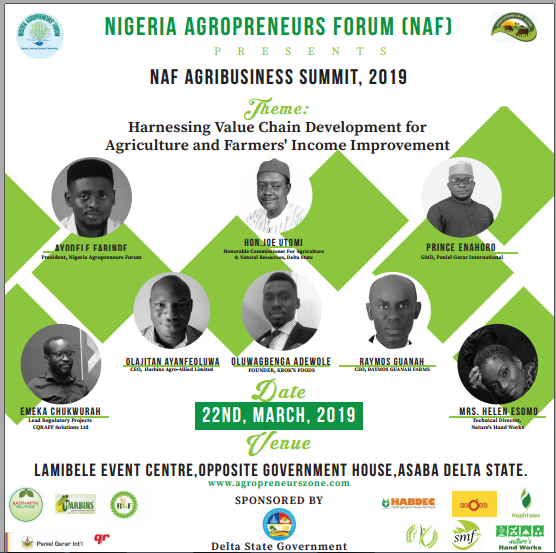 Nigeria Agropreneurs Forum (NAF) is pleased to invite you to attend the NAF Agribusiness Summit, 2019. Nigeria Agropreneurs Forum (NAF) is a professional network of agribusiness practitioners that Share agribusiness opportunities, help members Learn good agricultural practices and management as well as Earn via marketing of their products & services. For the first time, we have are solely doing preorder of drip irrigation kits(though we may extend to other irrigation types if we see much interest) via Ocean freight(this will drastically reduce the cost of these items). One of the reasons many people give for not using effective irrigation in the dry season is the cost, many farmers still see irrigation as expensive not effective! The truth is these irrigation kits are not expensive it is the costs associated in bringing them in that makes them expensive. We have partnered with a manufacturer that is willing to give us good quality drip irrigation for a great price. Why drip irrigation? Well drip irrigation is the most effective and water saving irrigation system ever, take it or leave it! I am writing both as a farmer(who uses this irrigation method) and as an irrigation expert. Water is the most critical resource in dry season, even industrial borehole and streams may dry up in the heat of the dry season when you need water most, especially when you use irrigation methods that drains water easily from your water source! What is more? These drip irrigation systems are complete, they come with the 16mm diameter drip tapes (0.3mm or 0.4mm thickness, 3l/h flow rate), 2 inch diameter PE Lay flat(1mm thickness), off take connectors for lay flat, end plug, joiners(to link two emitting pipes together), 2 inch venturi injectors (for fertigation), Puncher(for installation), Filter (disc type) – everything you need to install a drip system, the only thing you will need is to buy a tank. We will provide you free irrigation assessment, and design tailored to your farm area but you pay us for installation. For package 3: if your total order item is up to 1 Cubit Meter of space in the container(Less than Container Load-LCL), it will be treated as above however if your items is less than that then you will have to wait until we get others who are interested to complete the orders. If you are interested in the above then call/WhatsApp 07036931636. Are you a farm cooperative or NGO interested to empower farmers with drip irrigation, this 2018/2019 Dry Season? Then contact us today! We have offer great offers far cheaper than the above, if you are buying drip irrigation systems that will cover up to 100 hectares, or even 5000 hectares! We got you covered. Update: Want to try out drip irrigation on just 1 plot? No problem, you can now preorder a 600m2 drip kit: 1000m roll drip tape of 0.3mm thickness, 50 rubber grommet, 50 offtake connectors (for PVC pipes), water filter and venturi injector…All for N50,000 only! All you need are tank and PVC pipes as mainline! Nigeria is the largest producer of Pineapple in Africa and the 7th largest in the world, with Costa Rica, Brazil, Philippines, Thailand, Indonesia and India being first six. 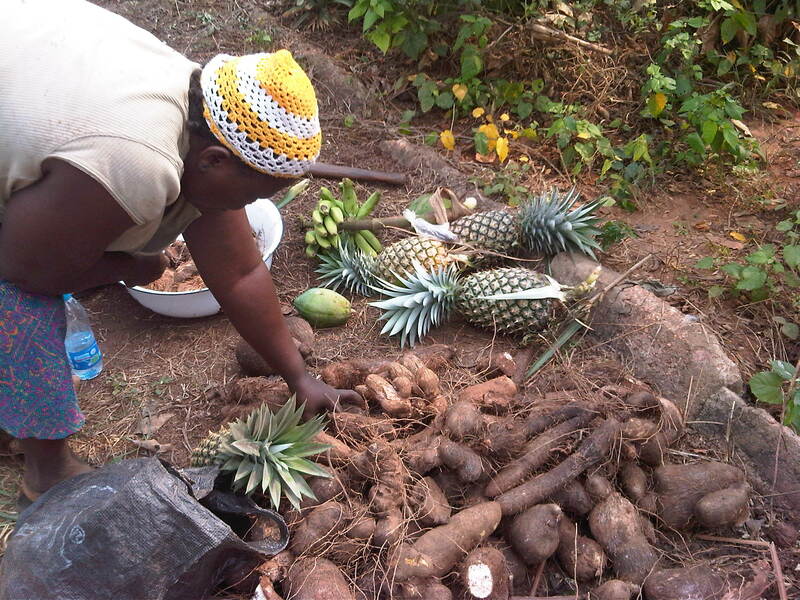 Pineapple farming is indeed a great goldmine in Nigeria as the fruit can be processed into Jams, syrups, dried fruit chips, e.t.c which can be used locally or exported. (1) Provide over 1,000 acres of available land for lease. (2) Provide planting materials(suckers) for the investor. (3) Provide a trained agronomic consultant who will provide expert advise and make sure you have a great product. It is worthy of note that Nigeria is an ideal country for the production of pineapple due to the favorable weather conditions and large market(chataceterised by a population of about 180 million people) for the fruit as well as its processed products. Nigeria has a huge and untapped market potential in the sale and use of processed pineapple products as we currently import concentrates(used for the production of fruit juice and sweetners) from South Africa(the second largest producer in Africa) and with the entry of SHOPRITE into the huge Nigerian retail market, canned South African Pineapples additionally creates a sleek entry into the Nigerian market. potential with an expected upward growth curve. Hence investors can also key into producing pineapples for export, this is an untapped market that can be keyed into as Nigeria has great potential for producing good pineapple products. For those who will like to key into the market as pineapple processors, we expect to have a large quantity of pineapple fruit for sale in August, 2018.
suitable for making fruit juices, jams, and dried fruit chips. 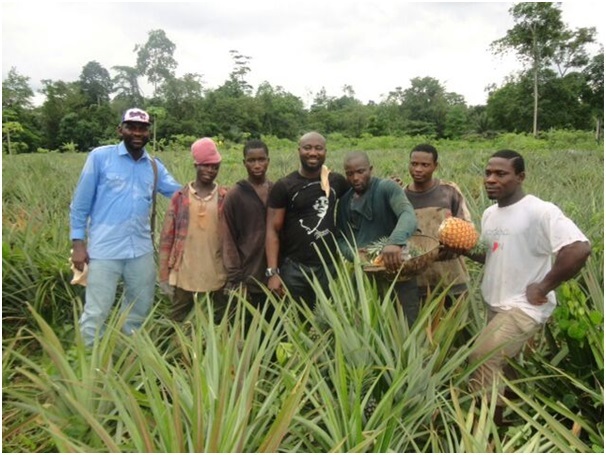 Whether you want to grow pineapples for the local market or for export and don’t know how or you want to go into/or are already in processing and you need large pineapple fruits for your production chain – KONKONEX FARM LIMITED Nigeria got you covered! We have highly experienced hands to setup your farm, provide you planting materials and supply you a large quantity of fruits. Contact us today and let’s do business together. Our farm is located at Ovia South West G.L.A, Benin City, Edo State.About 3 hours drive from Lagos and 40 Minutes flight from Lagos to Benin. The blockchain became popular and permeated most sectors and saw the increasing application of cryptocurrencies, particularly Bitcoin. Blockchain technology is basically a decentralized record-keeping system that allows global citizens worldwide to share a digital ledger to track transactions through a network of computers. This happens with no need for a centralized control and its main advantage is that it is secure and provides instant verification. Within agriculture, and indeed in the #ICT4D, blockchain is slowly being adopted. Recently, the GSMA report, “Blockchain for Development: Emerging Opportunities for Mobile, Identity and Aid” has provided use cases of initial adoption in the developmental world. This twitter chat seeks to highlight the possible use cases, successes and challenges of this technology and how blockchain can help achieve eliminate hunger and malnutrition. Q1. How would you define blockchain in one tweet? Q2. What are the main benefits of blockchain brings to agricultural development? Q3. How is blockchain currently used to fight hunger and malnutrition? Q4. What policy issues do you think need to be addressed in blockchain adoption? Q5. What are the challenges of using blockchain for international development? Well its 12th August, 2016 and today been the International youth day, i decided to reflect on the African Youth and their get rich quick farming mentality. Everyone wants to become a cucumber farmer, now everyone wants to go into tomato farming, soon they will all rush into another quick returns agribusiness venture, even considering doing 2 acres of farm when they have never planted a mustard seed in their backyard, doing all this without any practical knowledge or training but ALL based on what some internet marketer put up in some e-book or what some mathematician cooked up in one corner of their one room and put on the internet…#shame! I once got a funny call by a youth who wanted to do 1 acre of ugu vegetable farm with another on a land near a water source, so when i asked them their plan for irrigation they said hand watering…hand what? 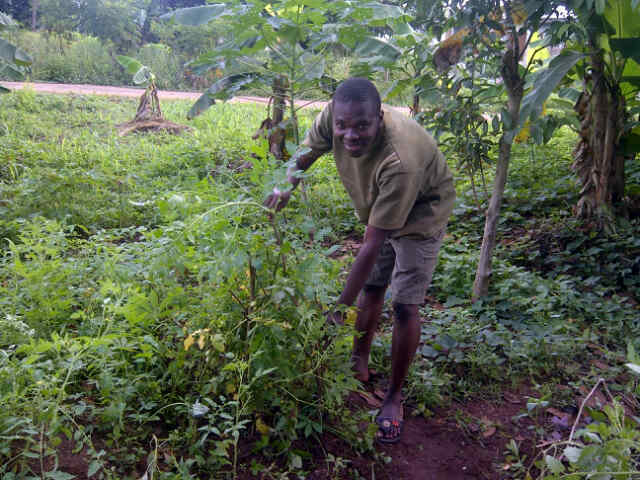 you need at least 5 people to water 1 acre of Ugu very well everyday, can you afford NGN10,000 per week for watering? 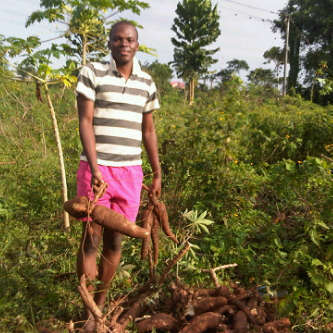 They said No…can you afford 4000 seeds of ugu, even at NGN25 naira/seed then they said No! we don’t have money. Then why do you want to go into Ugu farming when you neither have money or knowledge/ they reminded me they wanted to make quick money in the dry season. Then, I told them the bitter truth: You need to learn from a practical ugu farmer and start a farm you can afford…if you were the one who called that day, hope you heeded that advise? Please let me know privately! I hope this write up touches someone, an African youth to think, i mean “use their head well”, Agribusiness is not a get-rich-quick scheme please, do yourself a favour as you read this don’t ever invest your savings with the hope to make quick returns without applying the steps below. Now I challenge a young person reading this to follow this steps and by this time next year you will share your testimony! You may choose to read and pass or read and implement…the choice is yours! Enormous business opportunities abound in the horticulture area of the Agriculture value chain in Nigeria, enough to generate income and employment for several youths. However, most of these opportunities are not fully tapped. Hence, the widespread of youth unemployment and underemployment. Against this background, Agritechnovate Solutions Entreprises – a duly registered Agricultural company with the Corporate Affairs Commission (CAC) of Nigeria with registration number: BN 2315112 and champion for Agribusiness among Youths designed the first ever human-centered Agribusiness Master Class on Cucumber Farming for Youths and everyone interested in Agriculture(whether they have ever been to a farm or not) to create on-farm and off-farm employment opportunities presenting a viable and formidable option to reduce unemployment in Nigeria. As have been severally said, Cucumber is just one crop that in recent times is having a great demand than supply in the market today and anywhere you grow cucumber you will have a ready market for it, so market is not the problem. The challenge lies in successfully producing cucumber profitably. Hence this training is designed to assist several people from all walks of life, exposing them to the steps required in making profit as well as opportunities in the horticultural value chain in Nigeria. Successfully Setup a Profitable Cucumber Farm. Identify and tap into the various opportunities in the Horticulture value chain. 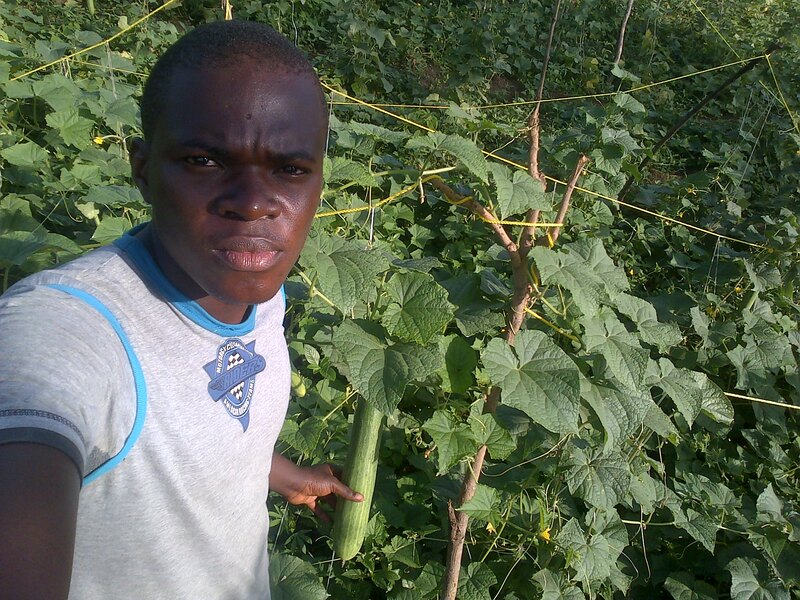 Effectively manage the challenges facing cucumber farming in any part of Nigeria. Assessment of Cucumber Farming viability and feasibility. Branding, Packaging and Value Addition of Cucumbers. Practical Guide to Setting up and Managing a Small Scale Cucumber Farm Profitably. Post Harvest Management of Cucumber. Why you have to fail to succeed (My Story). The training is designed in a human-centered model which will effectively benefit all in attendance hence we will have not more than 20 participants in this inaugural class. The 20 participants will further be divided into 2 streams of 3 hours each, morning (9am – 12pm) and (1pm to 4pm) evening class, 10 participants per stream. After four weeks of training participants will be given a memory stick containing training materials, videos, texts and pictures of activities during the training. Training is conducted in a Master Class Style, Students Practice what the Master instructs them and there is a home work every week to be done at home while reports in form of pictures and text and sent within the stipulated time frame. The participants are given training materials which will guide them during the practical class and in effectively doing the home works. 4 Saturdays( 3rd, 10th , 24th and 31st October, 2015). Participants should have an interest in farming and Agriculture and should have a small space(as small as 2m x 10m) near their homes to practice during the period of the Master Class. The Master Trainer is an International Agribusiness consultant, consulting for top-notch Agribusiness organisations across the world from Ergo Research in the USA to the Association of African Business Schools Agribusiness Consortium, South Africa – Kalu also has extensive experience in growing Cucumber having grown in various conditions in different locations in the past 9 months. Having failed severally, he knows what it takes to succeed…perseverance and doing it rightly from the beginning. Kalu is a graduate of the foremost Business Certification in the prestigious University of Maryland, USA where he bagged a Certificate in Entrepreneurship: Launching an Innovative Business – a course he completed in July, 2015. As a Graduate of Soil Science from the Michael Okpara University of Agriculture, getting his hand dirty has turned from a hubby to a profitable business and he intends to train as many people as possible, exposing them to the untapped potential in the Agri-food sector. Application is on first come first serve basis, once we meet our quota, we will move the rest to the next class. 1. Access to half acre of ploughable land to plant vegetable for a year free which will be allocated immediately after the one month training. 2. Accommodation of shared hotel room has been arranged for participant to stay for a month. 3. Seed will be given for you to pay at harvest. 4. You can only plant vegetables. 5. We will help to sell your vegetables if you follow the good agricultural practise that we will all learn during the training. 6. You must participate in vegetable training for minimum of a month. 7. No fertilizer will be given. We will teach on how to make your own organic fertilizer and you can easily buy the inorganic fertilizer and organic if you want. 8. You will pay for your tractor usage which isN3,000 per acre at the LGA. Trainee will take care of their farm labour. 10. You will take care of the farm land given to you but we will provide technical support throughout your planting period. 11. We take care of your accommodation for a month. 12. Alternative accommodation is been arranged for trainee to take care of themselves after the one month if they choose to stay. 13. We only have space for 30 trainee for the month of July. 14. Its on first pay first participating basis. 15. Participant should prepare for real farm work. Where Ago Amodu Saki East LGA of Oyo State. Where will you be on the 13th and 14th of March 2015? In 2011 Thai Agro and Allied Industries sent about 20 individuals for their first international Agribusiness Executives summit, to be trained in the areas of Vegetable, shrimp, rice and fish farming in Thailand. I was opportuned to be a member of the team. Back then I was not exactly financially “comfortable” as I am now. It took every scrapping of penny for me to enroll in the summit. The training cost me time, money and alot of other things. But I made a conscious decision to go for the training and utilize everything I am taught. A decision which today has changed my life. (I cant say the same for the other 19 participants from Nigeria). I have not missed a single international Summit ever since then. Most are neither practising nor using the wealth of knowledge that has been shared with them. They saw the trip as a field trip or tourist trip and not an opportunity to make change and impart the nation. Over the past 4years, since my return, I have freely trained over 500 individuals on agribusiness and vegetable farming. I own farms with monthly revenue in millions. Some people on Nairaland, Twitter, Facebook, BBM and whatsapp have also been beneficiaries of that one single sacrifice I made. Don’t get it twisted, the sacrifice was not just the fact that I spent time and money training in Thailand. Not at all, that was the easy part. The Difficult part was coming back home and starting up something! 2. Make the Sacrifice of being at the Training? 3. Humble yourself to learn from practical Agribusiness Entrepreneurs and Be Bold enough to go out there and make some money. If your Answer to this 3 questions is yes, Please go ahead to register for the training below. 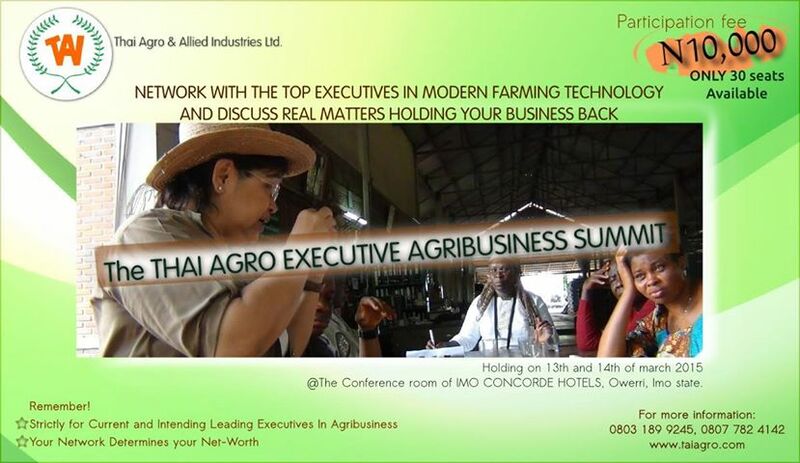 NB: This is the first time the Thai Agro Executive Agribusiness summit will be holding in Nigeria. It might not hold here again after this. You can never be sure. Due to the number of requests coming from the South-west and South-south, Taiagro has decided to make accomodation arrangements for participants coming from areas outside Owerri. For a cheaper and more convenient program, Taiagro has arranged transport service to convey participants from their lodging center to the summit venue. For those who want to access accomodation / transport service. You can book for your accomodation by paying the sum of N5,000 for accomodation and N10,000 for participation and materials. Transport within the city is free. The Thai Agro Agribusiness summit is beyond a training for farmers but a program geared to empower participants with powerful information that gives you an edge over other farmers. Trainers for this summit are professionals from different parts of the country. The target audience for this summit are current and intending leading executive officers in agribusiness. For effectiveness, this summit is limited to an attendance of 30 participants. Produce local cooking gas using kitchen and animal waste and make money from it. Challenges/Setbacks in Agribusiness in the Southern part of Nigeria. VENUE: Conference Hall, Imo Concorde Hotels, Owerri, Imo State. Forum on non-conventional water use in arid climates – This forum will seek to showcase research and innovations to tackle the issues posed by water scarcity and explore strategies to promoting sustainable solutions in the region and globally. Aquaculture and indoor agriculture discovery days – A series of workshops aimed at providing farmers and businesspeople in the MENA region with all the information they need about setting up a new food production business. Register for the GFIA2015 Today! 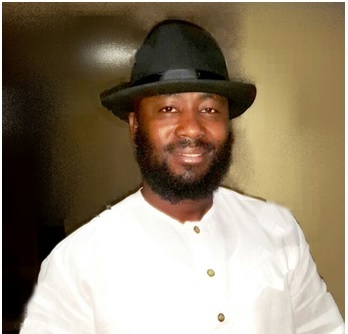 This has prompted 2 active, young Agropreneurs (Mr Adeniyi Sola Bunmi, CEO Natural Nutrient Limited and Mr Debo Thomas Olushola-MD Hastom Global services Limited) to come up with an idea tagged WEST AGRI-BUSINESS INITIATIVE (WABI) in order to encourage young people into agriculture. WABI is willing to provide the opportunity for 50 serious young and able people willing to key into agribusiness industry. This opportunity is for those who apply and are selected through a process. 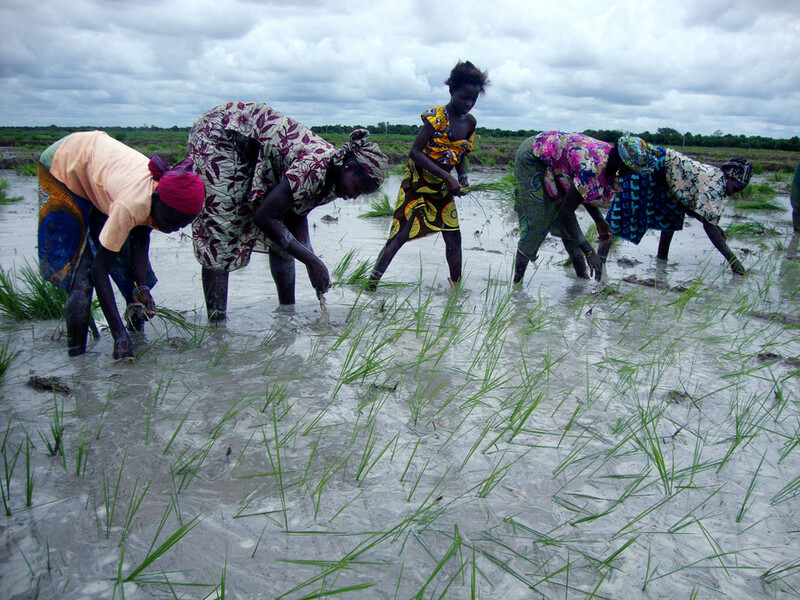 WABI will make available 20 hectares of land to the selected participants and they will also be trained in agricultural practices ranging from planting to marketing for free at WABI FARMERS HUB located in Ogbomosho, Oyo state This will increase the agricultural outputs of our nation, and at the same time, create employment for Nigerians. This package includes • Free registration • Free land • Free practical training (both online and offline) • Ready market for your produce. The initiative now known as the Youth in AgriBusiness Development and Innovation(YABDI) has been launched and the Ogbomosho Project will commence in 2015. Thanks. Prizes: Prizes will be awarded to the winning student and their educational institution – $1,000 to the student and an award certificate for the school. Both the student and a representative of the school will be flown to South Africa for FARA’s celebratory event in November where the awards will be presented. For updates on the competition, entrants are advised to follow the hashtag #FARAEssay on Facebook and Twitter. Update: This offer is now closed! Our Client is a Business Travels, Marketing and Management company with a track record of effectively creating avenues for Nigerians to attend Trade Shows and conferences in the U.S.A. They are seeking for Nigerian Delegates to attend the World Ag Expo, 2015 taking place at the International Agri-Center, Tulare, California, USA from February 10-12, 2015. World AG Expo is the world’s largest annual (47th) agriculture exposition and a meeting place for agricultural producers from all over the world, with more than 1,400 exhibitors. It has officially been designated by the U.S. Department of Commerce, as an affiliate of the foreign buyer program, which encourages exportation of American made goods. Agricultural Tours, Seminars, Top 10 new products, Video Contest, World AG Arena, Wine and Cheese Pavilion, Scholarships Etc. Farmers, Farm Professionals, Animal Care Experts, Agricultural Producers, Allied Industry Professionals and Representatives, Ranchers, Commodity Farmers, Veterinarians, Nutritionists, Diary Producers, Agribusiness professionals, Etc. IHAV (I have a Vision) is a nonprofit organization established to support youth development through capacity building and employment generation. IHAV is the brain child of African youths who have realized the significance of entrepreneurship as a vital tool in addressing the sky rocketing youth unemployment rates, and for the sustainable economic and societal development of the continent. In the light of this, IHAV is organizing the 2nd edition of its yearly conference with the theme ‘Creating an Agribusiness Revolution with Africa’s Youth’. 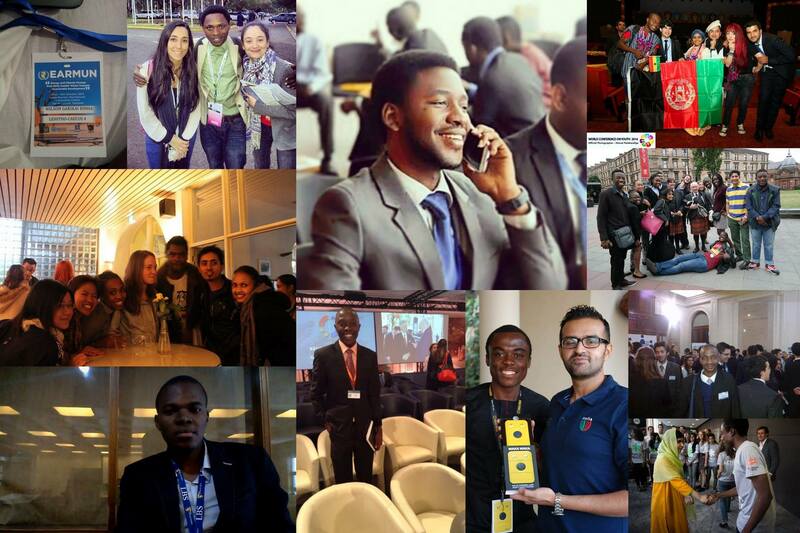 The conference will bring together 100 selected young leaders from across Africa in one platform. Through this conference IHAV seeks to engage African youth in addressing the issue of sustainability in agriculture and increasing the productivity of Africa’s agricultural system through research and innovation in a way that will bring about a process change and trigger an Agribusiness revolution across the continent. This will in turn lead to a reduction in poverty and a marked improvement in people’s livelihoods. This exciting event is scheduled to be held in Accra, Ghana from 30th July to 2nd August 2014. IHAV is bringing together renowned speakers across the face of entrepreneurship, ICT, agricultural experts and entrepreneurs, marketers and business experts from Ghana to help trigger the needed change we desire. The speakers are to cover the whole aspect of revolutionizing the agriculture sector and also how to link all other sectors of the economy to it. The agriculture sector if properly monitored can harbor all the other sectors like ICT, marketing(packaging, branding and commercializing), communication(media), roads and highways, labour employment, financial sector etc. if all these sectors are networked well, one can channel his\her expertise into agriculture without necessarily being an agric oriented person or farm worker. Among the 15 speakers for the 4 days conference are Mr John Armah of G.C.E.E.I., Mr Charles Sam of Golden Future Promotion, Mrs Sara Nana Yeboah of Sangy Nursing Services, Mr Ehi Benitie – a global market researcher, Mr Philip Abayori – a farmer and entrepreneur, Mrs Eva Lokko – a communication engineer, Dr Gheysika A. Agambilla – a publisher and a former minister of state, Sherrie Ann Donaldson Thompson – Founder \ CEO, Global Resolve Africa, Corporate Marketing Consultant, Mr Edison Gbenga and many more. It’s the passion for the organization to advocate for agribusiness because there are more opportunities in agriculture which can help sustain Africa’s economy since we are blessed with the natural resources to cultivate. When the youths focus and find innovative ways to make it profitable and marketable to the global market, it will curb the alarming rate of unemployment and the influx of foreign agric products in our market. 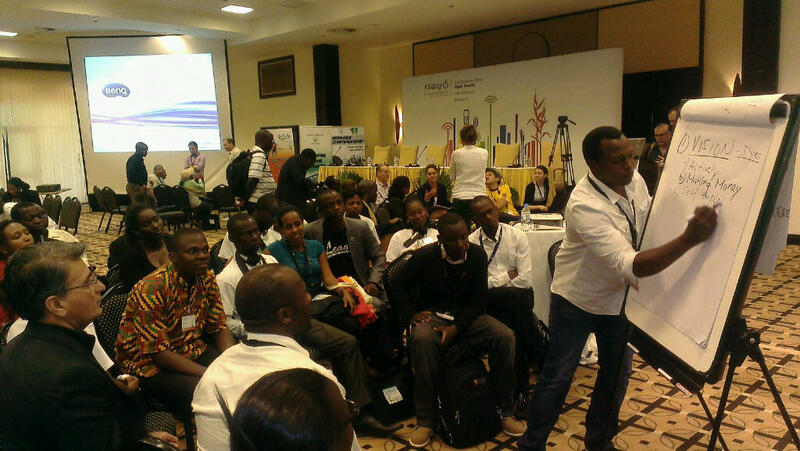 As an #IHAV2013 participant, I can say without any iota of doubt that IHAV has an organised team and am sure that the #IHAV2014 conference will indeed build another set of great African visionaries that will innovate Agriculture and make Africa a green land where everyone will love to come and invest in Agriculture. Lets be innovative and put our VISION INTO ACTION. Opportunity: Youth Empowerment for Agric graduates in Nigeria. Deadline: Applications should be sent before 29th July, 2014. In pursuant of the Agricultural Transformation Agenda (ATA), Agricultural And Rural Management Training institute (ARMTI), Invites Youth to cease the opportunity of the ATA and participation in its Empowerment scheme. The scheme is aimed at addressing the problems of youth unemployment provide necessary entrepreneur skills for the selected Agricultural graduates and link them with selected financial institutions that will provide them loans to engage on agricultural enterprise of their choice. 12. Prepare a pro-forma business plan of agricultural enterprise of their choice. P.M.B 1343 Ilorin, Kwara State. A Private Investor, Festrut Conglomerate is set to establish a farm, covering 100 hectares of land at Uzebba, Edo State that will provide about 15,000 employment opportunities for the people of the state. Chairman and Chief Executive Officer of the company, Dr. Festus Asikhia, disclosed this when he led a delegations on a courtesy visit to Governor Adams Oshiomhole in Benin City at the weekend. Asikhia said “I have to go to my community where I can easily have access to land and I have acquired about 100 hectares of land for the take-off of the company. Asikhia maintained that when completed, the new city will attract investors to come in and invest thereby increasing state government revenue through taxes. He further used the occasion of the courtesy visit to implore State Government collaboration in order to succeed stressing that similar ventures have been established in Lagos and Abuja. Responding, Governor Oshiomhole welcomed Dr. Festus Asikhia and his delegation to Edo State, saying the State Government is willing to provide a conducive environment and partner with serious investors who wish to invest in the state. He stressed that the State Public Private Partnership (PPP) is doing everything possible to create an enabling environment for investors to take advantage to invest in the state. According to him, “Potential partners in the various aspects of the economy are working out various MOUs with a view to take advantage of the very conducive business environment that exist in Edo State. “So like I said to Hon Rasaq Bello-Osagie, all you need to do is submit a detailed business plan to our P.P.P. Oshiomhole said: “In Edo State, we have made substantial investment in both the urban and rural areas, investment on roads, Urban renewal and drainage control, linking rural communities so that people can take advantage to go into mechanized farming and businesses in those communities as you plan to do. Meet The Young Family Farmer #YFF of the Month Fareed – the Quail Farmer. 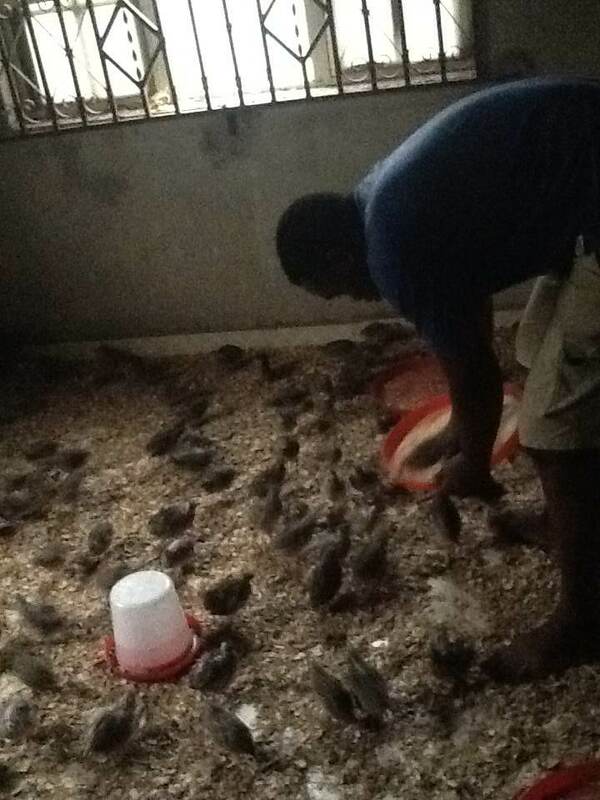 Fareed, feeding the Quail birds. To fulfill my promise of promoting Young farmers and youth in Agribusiness, supporting their family farms, I will be promoting Young Family Farmers (YFF) every month on this page. Today, I will be telling the story of Ibrahim Fareed, the CEO of Dola Farms. Ibrahim is currently an undergraduate student of Federal University of Agriculture Abeokuta, where he is studying Agricultural Extension and Rural Development and in his 400 level (Farm Practical Year). His story inspired me a lot because he utilized what others called a bad situation to build his business. During the long Academic Strike of lecturers in Federal and State Universities in Nigeria, Ibrahim was busy applying the knowledge he gained in over one year of working at his uncle’s poultry farm. He wasn’t going into broiler for meat production, he was doing quail egg and meat production in his family house in Lagos state. 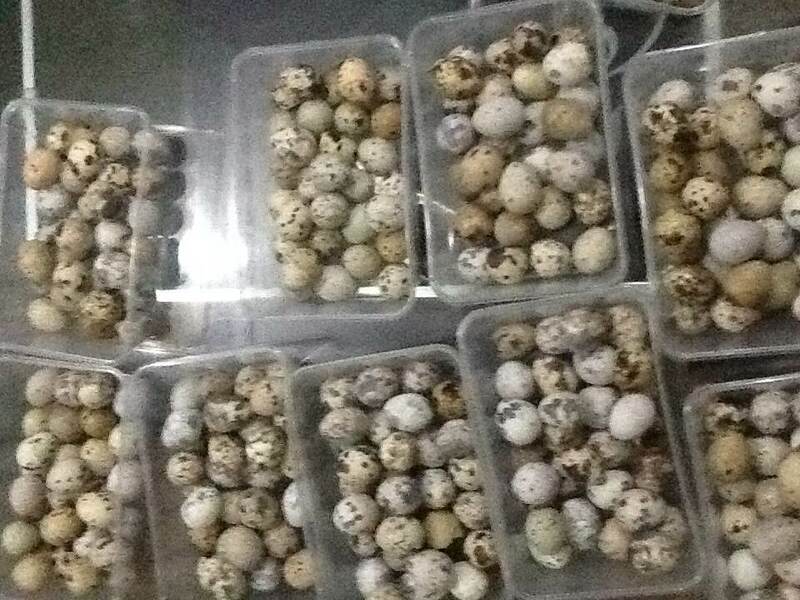 In case you don’t know Quail farming, it’s ever becoming a big business in Nigeria, with one crate (30 eggs) going for between N800 – N1000 and even more. Quail is a small bird and its egg and meat is said to heal several ailments and health conditions. 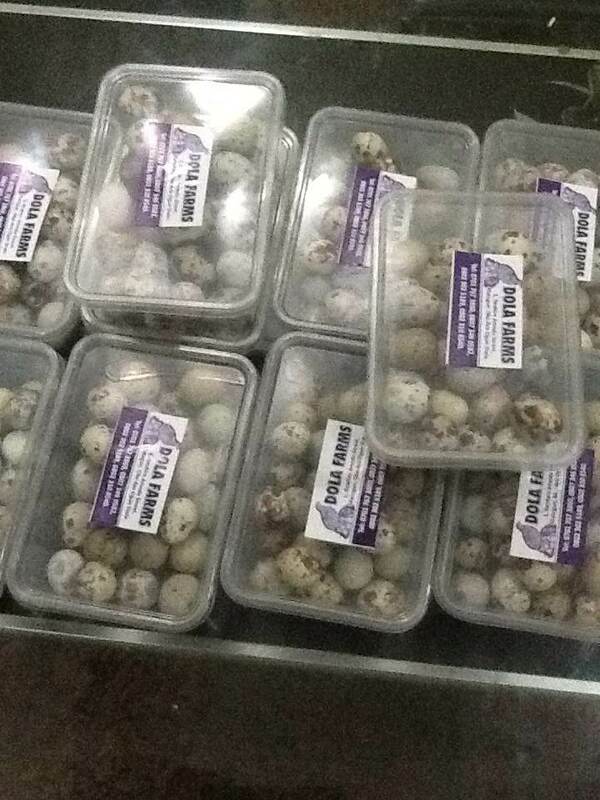 Freshly harvested Quail Eggs, sorted. When asked his driving force towards Quail farming, he said: “I am a God fearing and peaceful person, always passionate about agriculture and that drives me. I hope to become a successful farmer someday as I see myself very big in the agricultural world.” By working hard and not giving up also having faith in God, he has the intention of adding great innovations that will improve his farm. Freshly harvested Quail Eggs, branded. Interestingly Ibrahim is now back to school after the long old strike and has resumed academic activities but Dola farms still runs perfectly with the assistance of his family, You can still get Quality Quail egg from him :Ibrahim Fareed olamide| Contact: 07017673860, 08073460582| fareedibrahim26@gmail.com. 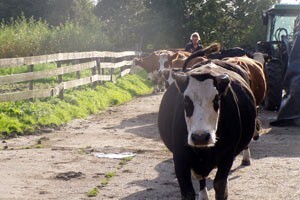 Hope you enjoyed the story of the Young Family Farmer(YFF) of the month. If you are or know any Youth supporting your family farm or doing a small scale Agribusiness in ANY part of the world and will like to be featured on this page, hit the Contact button lets interact. This survey has been elaborated in collaboration with our facilitator, Justin Chisenga and the Young Professionals in Agricultural Research for Development(YPARD). In the International Year of Family Farming we are confronted with a shameful paradox. Family farmers produce more than half of the world’s food. That is a reason to celebrate family farming. Yet, 70% of the world’s most impoverished people live in rural areas and belong to family farming or pastoralist communities. How is this possible? And how can this situation be changed? We seek your groundbreaking views, your innovative proposals and experiences that show how family farmers can break out of the poverty trap and increase their resilience. Some countries are experiencing strong economic growth, even as food and nutrition insecurity increase. Conflicts over resources (land, water, and biodiversity) and degraded resource bases often threaten the poor and the marginalised who are directly dependent on these resources. Poverty is not just about a lack of money. It has as much to do with people’s asset base in a much broader sense, and thus with power. Poverty is also about people’s capability to deal with situations of shock or stress – whether social, economic, political or physical. Poor people lack the resilience to effectively cope with these shocks. Over the last decade climate change has added to these problems, resulting in ever growing resilience deficits in rural communities. How can poor people in rural areas break out of this vicious cycle? In the June 2014 issue of Farming Matters we will focus on how agro-ecological approaches strengthen the resilience of family farmers and help them break out of poverty. We will look at how agro-ecological farming practices and the social dimensions of family farming contribute to strengthening resilience and sustainable resource management. In so doing we examine the roles of young people and women and how policymakers, organisations and researchers can actively encourage the effective and widespread use of agro- ecological approaches as a way to address rural poverty. We welcome your contributions, with supporting evidence. Articles for the June 2014 issue of Farming Matters should be sent to the editors before April 1st, 2014. What the 2014 International Year for Family Farming(IYFF) means for you. 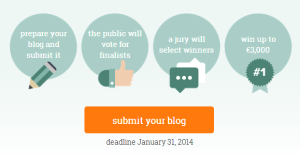 Submit your blog for the YoBloCo Awards NOW! Put youth at the center! The UK’s Royal Agricultural University offers fellowships to African students for the MSc in international rural development, and MSc in sustainable agriculture and food security. Royal Agricultural University seeks applicants who have experience in agriculture and related subjects; an interest in land reform; and a desire to make a strategic and sustainable contribution to Africa’s development. 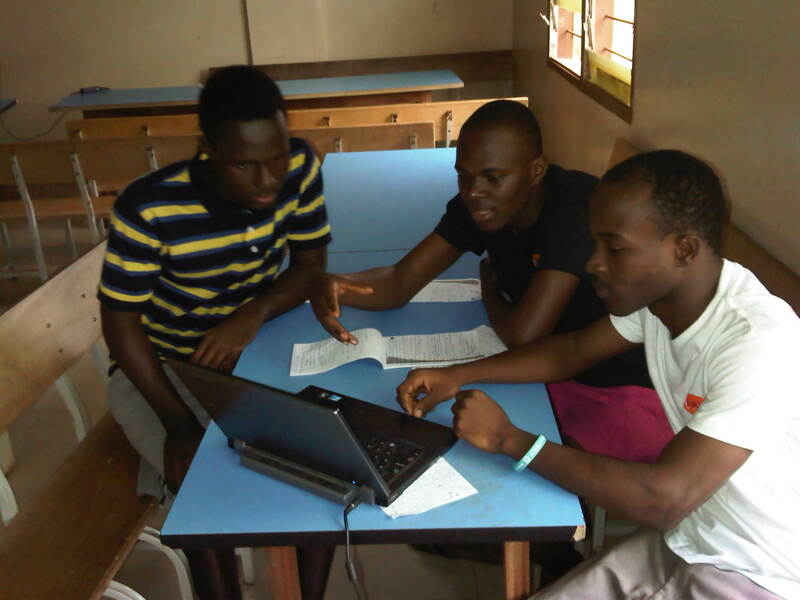 The program supports up to 10 African fellows each year. The application deadline is 03 January 2014. Agriculture does not only need the young to replace the old farmer but also to bring innovations that modernise the sector and strengthen it, so that they also benefit from it. The application of new ICTs in agriculture particularly confirms that assertion. While I was studying at university and working at an NGO I started to develop a vision about sustainable farming. Then I realised that having an opinion about it is nice, but how about actually doing it? I decided I wanted to learn to farm. How can smallholders become part of the certified palm oil supply chain? 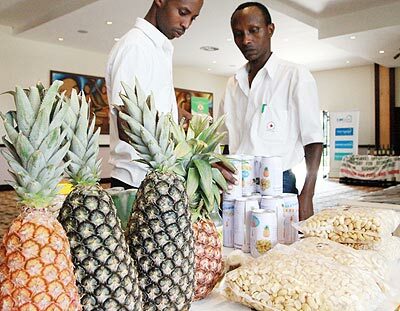 Food insecurity and poverty will continue to persist on the continent unless a proper strategy is formulated to encourage private investments in agriculture sector, participants at an agribusiness forum in Kigali have said. 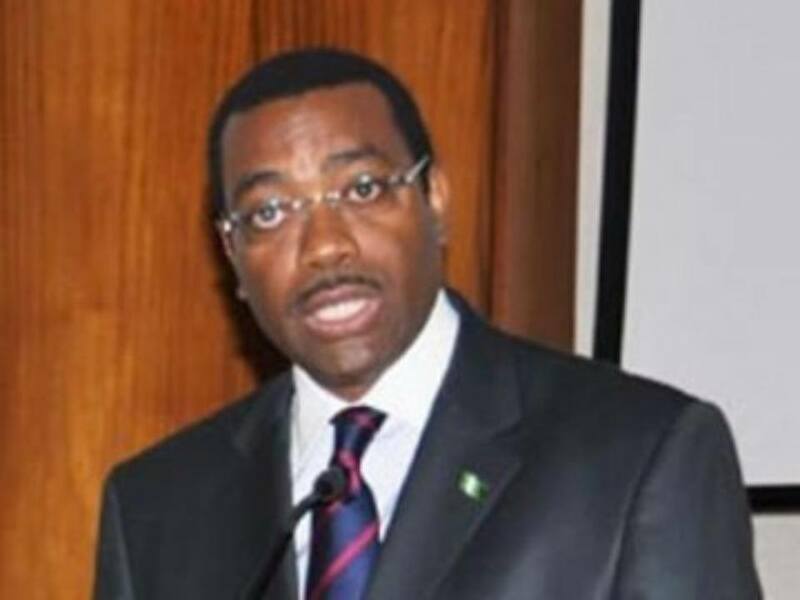 Nigerians who have made billions of naira in other sectors of the economy are now channelling their fortunes into the agricultural sector, following the huge investment recorded under the new dispensation’s transformation agenda, the Minister of Agriculture and Rural Development, Dr. Akinwumi Adesina has said. 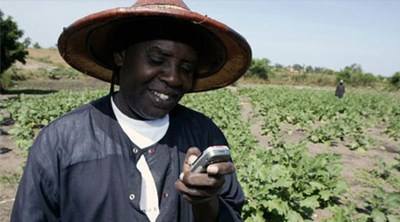 The deployment of an electronic wallet initiative by the Nigerian government saved more than NGN29.7 billion (US$188 million) in the agricultural sector in 2012. Dr. Akinwumi Adesina, Hon. 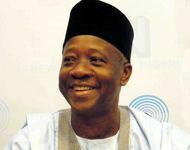 Minister of Agriculture & Rural Development of the Federal Republic of Nigeria to share his vision at the EMRC’s Agribusiness forum 2013 coming up on Sunday, 6th to Wednesday 9th October. HUNDREDS of farmers gathered at Akinale, an ancient town in Ewekoro Local Government area of Ogun State recently to receive pro vitamin A cassava stems delivered to them by HarvestPlus, a global alliance dedicated to eradicating ‘Hidden Hunger’ in the world. 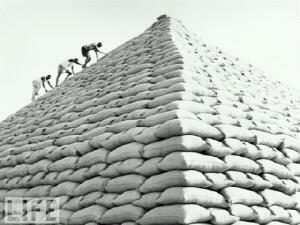 Nigeria: FG to revive Groundnut Pyramid – Adesina. The Nigerian Minister of Agriculture and Rural Development, Dr Akinwumi Adesina, yesterday indicated the determination of the federal government to revive the groundnut pyramid in the northern parts country. About 120 youth delegates from 20 countries discussed how to feed the world’s growing population at a week-long global Youth Ag-Summit held in Calgary, Canada. The summit, the first event of its kind, was organized by the Canadian Youth Organisation 4-H and sponsored by Bayer CropScience. The participants experienced an intense debate on how to increase consumer awareness of agriculture, reduce food waste, counter the effects of climate change and cope with a growing human footprint. We are seeking an experienced candidate to help bring the world’s agricultural innovations to One Acre Fund. Minimum two years’ commitment, full–time job. A lot of countries in Africa are beginning to turn their attention to Agriculture, after a long time neglect of this sector, due to the Oil boom and over dependence on foreign aid. Over the past months, i have revamped this blog from being just a place where i write stories to encourage Youths to embrace Agriculture and Agribusiness to a one-stop Agriculture and Agribusiness blog for opportunities, Agribusiness ideas, interviews of Youths in Agribusiness and Agribusiness news which will go a long way to spark up youth interest in Agriculture and Agribusiness. The Federal Government of Nigeria recently approved 12billion naira soft loans for farmers to be disbursed by the Bank of Agriculture (BOA), continue reading to locate any of their branch in the 36 states of the federation nearest to you. Good news to all intending pig farmers or any pig farmers that want to improve themselves in the piggery industry. We have organized a full day packaged seminar entitled: Exposed!!! Doing Piggery Right. * Select appropriate pig breeds for different purposes. * Explain how to manage the breeding of pigs. * Explain the physical facilities, including buildings and equipment of a pig farm. * Explain the procedures used in managing the condition, including the health and feeding of pigs. * Explain the husbandry operations associated with pig farming. * Develop strategies for marketing, including both traditional and innovative marketing plans of pigs and pig products. * Develop different strategies, including both traditional and innovative approaches, to manage the general operations associated with pig farming. Venue : Plot 47, Emuren Road Off Emuren Bus stop after Caleb University, before Imota bus stop in Ikorodu area of Lagos State. Our modern world has gone from “simple” to “complicated”. Many people wake up early and go to bed late because of their busy schedule. This has pushed a lot of people to do things at their convenient time. To save up time and still get the same feeling, people have turned to the consumption of ground foodstuffs businesses such as; dry pepper, melon, crayfish, ogbono etc. That is why we will be explaining to you ways by which you as an investor can make big money off ground pepper comes first in the chart. The major producers and exporters of peppers are; Brazil, China, Malaysia, Indonesia, Sri Lanka, Thailand with Vietnam leading with 30%. Pepper grows very well in the tropics and is very abundant in many parts of Africa (especially in the Northern part of Naija). But majority of the crops produced in the local community are consumed leaving little to nothing for export. Pepper is a type of spice used in the preparation of delicious foods as a result of its added flavour, colour and medicinal value. Of all spices, pepper is the most widely consumed in the world. This is why it is commonly referred to as the king of spices. Innovation comes with a lot of enlightenment. Dangote introduce packaged salt and sugar and made millions of naira from it. Golden penny also did the same. In fact these products have seen an increased number in patronage on a daily basis and will still continue to record higher figures. So what are you waiting for? Sealed items like this sells between the ranges of NGN50-NGN100, goods and services that sell within the range of this amount are largely consumed in almost every home in Nigeria. With an exception of the bigger containers which are meant for big malls that sells higher. A well packaged ground pepper is easier to use. This is why many people continue to demand for it. The demand for pepper is so high that any part of it hardly gets wasted. There is a readily available market for it and the demand far outweighs the supply of the product. 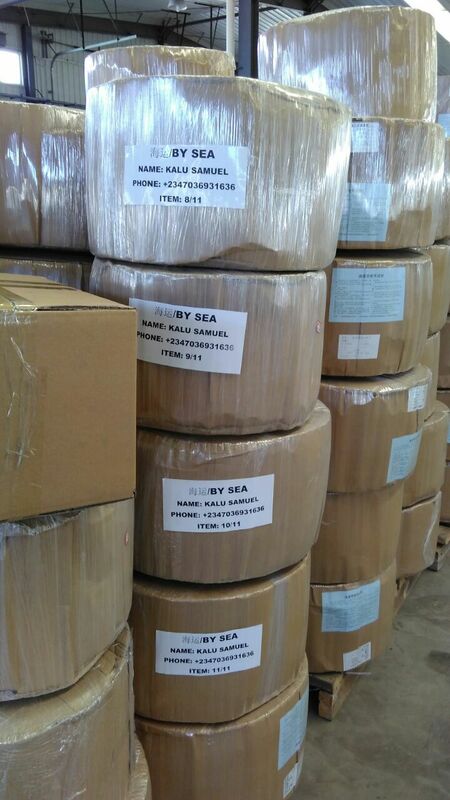 Dry pepper business is highly lucrative. Let’s say you buy a bag NGN30,000 depending on the price and location you can make 50% or more on your ROI(return in investment). To maximize profits it is important you buy them in bulk. One of the advantages you have for packaging your dried pepper is that it gives you a competitive advantage over “normal sellers”. Additionally, people believe that packaged products are more hygienic, authentic and are of better quality than regular ones. This is another guarantee that when you begin your business will grow. The business allows both small-scale, medium-scale and large-scale entrepreneurs to make money. For small-scale you can start with as low as NGN20,000 while for large-scale you can begin with NGN200,000. Sundry the pepper till there is zero percent water content in it otherwise it will grow mould which will render it useless. After this, get rid of the dirt, shaft and stones from the pepper. You can use a blender to blend it (if the quantity is not too much) or use a grinding machine. Also, you can buy your own big grinder or take it to the commercial grinders if you cannot afford one. Never mind as your business grows, you will be able to purchase one. Ensure your grinded pepper is cold before packaging because grinders make grinded products hot. As soon as the pepper gets cold, spread or scatter it on a surface in a way that they do not clod. Proceed to use plastic spoon to scoop them inside containers. For small producers who make use of nylon, ensure the mouth is tightly sealed so as to prevent air from penetrating and causing mould damage. If you use containers, make sure they are tightly covered. You can achieve this by placing nylon to fill the top cover just like it is done in bama. To do that, wrap cello tape around the cover then take it closer to a heat source. You can make use candle (it does the job well), it then becomes firm on the cover. Use a nose cover to cover your nose so that pepper particles or dust does not enter your lungs through your nose. You should put on a love too but if you decide to use your bare hands and it starts burning, rub palm oil on your palms or burning area, it will sooth the burning part. Additionally if the some particles of pepper mistakenly enter your eyes, lick some salt and you will be relieved. Speak to people who sell in bulk in your area on where they buy theirs from. I advise that you become friends with them first as they might be sceptical in revealing to you where they get cheaper pepper. States like Gombe State and Nasarawa State are two of the largest producers of pepper and tomatoes. Other states that sell pepper in larger quantities are Kaduna, Sokoto, Kano, Jigawa, Katsina, Bauchi, and Plateau. You can also purchase and sell in bags to market men and women and still make good profits out of it. This way it is possible to make as high as #10,000 and above from each bag and the turnover will be quicker. As soon as you become an established trader in the business, you can begin exporting them to reach a bigger audience and rake in millions of Naira. To test waters, you can start off by exporting in smaller quantities to foreign countries like the Canada, UK and USA. It is not as difficult as you think. To start, you can contact the Nigerian Export Promotion Council (NEPC) through emails, calls or visitation to their website or office. I see no reason why you shouldn’t begin exportation of pepper if it meets exportation standards. Countless investors are making big bucks off this business; you also can partake too. Your product must taste great and the quantity should be superb in other to compete favourably with the ones there. The black pepper is believed to have originated from Cameroun. That’s why a lot of people call it “Cameroun pepper”. Mambilla and Gembu in Plateau State and Taraba State are big producers of Cameroun pepper. It is becomes green when it starts fruiting but becomes dark-brown in colour when dried. It is also grown in many parts of Enugu State; the locals refer to it as “Nsukka pepper”. The pepper is a super spicy one with strong aromatic flavour, it cost is a little bit higher than “regular ones”. The green pepper is majorly added as sweeteners to coloured food such as fried rice and in the preparation of salad. They are very usually big in size. African Bird Eye Chilli pepper are short and tiny dry pepper and are the most consumed in Nigeria, they are very hot and can remain that way a lot longer than the Cameroun pepper. The market of pepper is everywhere. You can start off by taking samples to food stores, shops, super markets and shopping malls. In fact any person that sells food stuff is a market and would be more than interested in buying from you. You can also supply to local market women who might re-package theirs with small white nylon to increase profit margin. You can also sell boarding schools, eateries, hotels, restaurant and, suya sellers etc. You will discover that dry ground pepper is kept side by side with salt when you patronize restaurants. Pepper contains essential vitamins like Vitamin A and C which helps in the prevention of cell damage, cancer, ageing diseases and boosts your immune system. It helps in the reduction of inflammation such as arthritis and asthma. Red pepper helps in the prevention of many forms of cancer such as cervix, pancreas, prostrate and bladder. Because of the presence of carotenoid called lycopene. Pepper contains fibre; an element that prevents constipation. They increase the human bodily heat and helps in keeping the body warm during cold periods. 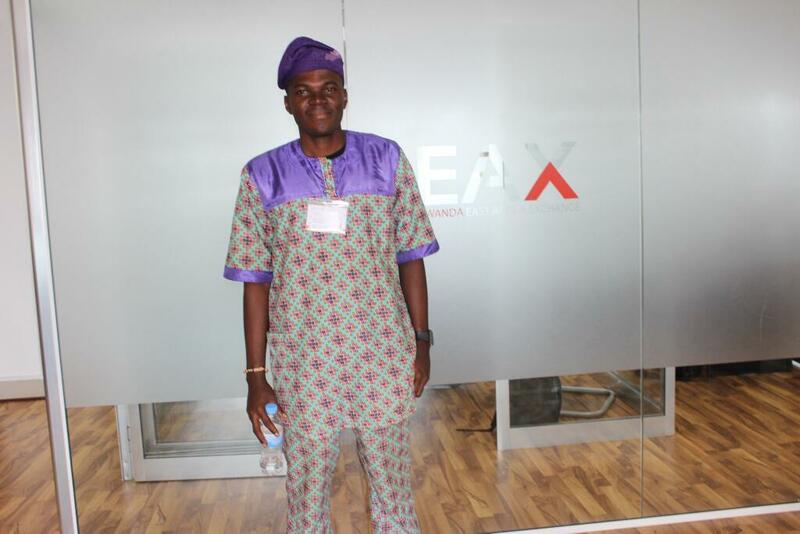 Balogun Owomide has a huge passion for spreading motivation, business and personal finance. I often write on my Animal Forum blog. You can reach me on Facebook at Balogun Owomide . “Irrigation is expensive!! !” – I hear this all the time from practicing and intending farmers. How can you conclude a product is expensive by just considering the price rather than its function? A good macbook or iPhone may seem expensive(if all you look at is the cost), but when you compare functionalities to the other less expensive brands then you will understand how cheap a Mac and/or an iPhone is! A good effective irrigation is never expensive, it can last for several years and you can recover the cost of your investment within the first year or two of use! So you can only enjoy the benefits of irrigation technology when you think of its long term benefits rather than short term. But, come to think of it : Why use a pump and hose on 1 acre and manage to spend less on irrigation then spend so much on labour, when you can preorder a complete DIY kit of 1 acre drip irrigation system from us at N200,000 and do everything yourself in case your labourer absconds from tour farm in the heat of the dry season (as some of them always do) and you save your investment. We understand that getting an expensive Irrigation system is a course for concern for most farmers that is why we introduce the preorder option, here you can order for high quality Irrigation based on your crop specifications, water availability and most importantly your budget. Still wondering which irrigation system will work for you, why don’t you Call/WhatsApp us today for free Irrigation advise +234(0)7036931636 is the number! Six youth start-ups, who were each awarded with investment, promotional support, capacity building and network opportunities after winning CTA’s 2017 Pitch AgriHack! initiative are looking forward to the new opportunities that 2018, and continuing support from CTA and partners, will bring. From the initial 130 e-agriculture start-ups led by entrepreneurs aged 18–35 who applied for the 2017 PitchAgrihack!, 25 were selected for the final round of the contest which took place during the African Green Revolution Forum in Abidjan, Côte d’Ivoire. The six winners included two start-ups – eFarms and Farmart Ltd – both at an early stage of their business; two at a more advanced stage of development – Bayseddo and AgroCenta; and the best start-ups in Senegal and Ivory Coast, respectively – Aywajieune and ICT4Dev. The award grants, provided by CTA and its partner Suguba, ranged from €2,000 to €15,000. The Senegalese agri-financing platform, Bayseddo, connects farmers who are in need of financing with investors looking to invest in agriculture. In 2018, CTA will support Bayseddo in various activities including improving their website, developing a complementary mobile app that will work offline, and helping to build their administrative capacity to deliver better services. 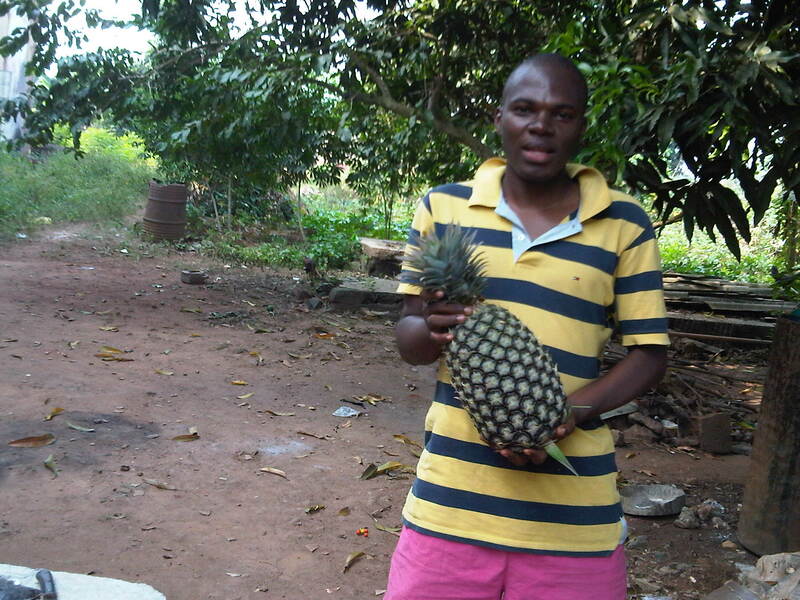 AgroCenta is an online marketplace for agricultural produce that allows small-scale farmers and farmer organisations in Ghana to access a wider online market outside of their immediate community. To date, more than 10,000 farmers are able to access market information through AgroCenta agents in order to achieve a fair price for their products, and access on-demand truck services in real time. During the next 12 months, the start-up will be supported by CTA to increase the number of farmers it services to 30,000, double the number of buyers and increase staff numbers to provide better coverage in its area of operation. The Nigerian-based agri-financing and agri-training platform, eFarms, crowdsources funds from farm investors who supply quality seedlings and fertilisers to young smallholder farmers in different locations. CTA will support eFarms during 2018 to lease and cultivate at least 100 ha to 100 smallholder farmers across three locations in Nigeria, and provide 200 ‘graduate farmers’ with on-farm training in their chosen field of interest. CTA will also support the company to provide 50 ‘farmternships’ for students enrolled in higher education courses and raise at least 10 million Naira (€0.022 million) from a minimum of 50 farm-investors. The fourth PitchAgrihack! winner was Farmart Ltd, an online platform which markets farmers’ fresh produce to consumers in Ghana by sourcing local produce from farmers every morning and delivering it to homes and businesses within 5 hours of orders being placed through the website. CTA will support the start-up to acquire a further 1,000 individual customers and 150 businesses by the end of 2018, as well as to help hire and train new staff members. In addition, Farmart intends to start exporting fresh foods to business partners outside Ghana. CTA’s partner, Suguba, also awarded two special prizes to the best start-up in Senegal (Aywajieune) and Côte d’Ivoire (ICT4Dev). The €2,000 seed funding provided to these winners will allow the start-ups to expand their services. Aywajieune is an online marketing platform for fish products, which facilitates transactions and directly connects buyers with fish sellers. Orders are collected by a home delivery service which is integrated with the platform and responsible for managing the logistics of all transactions. Meanwhile the virtual market provided by ICT4Dev is a web, mobile and SMS solution for linking sellers and buyers of agricultural products. The platform allows sellers to post offers via SMS while viewing requests sent by customers, and vice versa. The PitchAgrihack! start-ups were all provided with additional documentation on business management and entrepreneurship. They will also have the opportunity to network with potential partners at upcoming international and regional events to further help them scale their agribusinesses. Moreover, these young start-up businesses will take part in other activities supported by CTA and partners throughout 2018. Thanks to the partnership CTA has developed with French institutions working in this field, Bayseddo, AgroCenta, ICT4Dev and Aywajieune were able to participate in the 1st Agri Start-up Summit held during 22-24 November, 2017 at La-Roche-Sur-Yon, in France. At the event, the start-ups had the chance to broaden their network portfolio and meet potential investors and partners. Pitch AgriHack! gives e-agriculture start-ups the opportunity to consolidate, pilot or upscale their platforms and services. The ultimate objective is to strengthen youth engagement in agriculture by helping to develop business services offered by young entrepreneurs, and accelerate the adoption of ICT4Ag by the agri-food sector in ACP countries. For more information on upcoming events, or to exchange ideas about digital entrepreneurship opportunities in agriculture, visit the Pitch AgriHack! website or become a member of its Networking and Knowledge Sharing Platform where you can view further discussions and sharing opportunities. Every year in Nigeria and in most parts of sub Saharan Africa after about 4-6 months of Rainfall we get to the dry months where solar radiation is scorching and soil water depletes. The time where seasonal farmers drop their farm implements at home and focus on their other trades to continue providing for their families. But this is the time when smart farmers make their money, Why? Because, since few farmers are growing, only those using effective irrigation will have their crops available during this periods and they will sure reap immense benefits. As their names implies they are in the shape of a gun and they have a long jet range(rate at which they cover). Just 1 Rain gun can cover up to 1 hectare and rotates 360 degrees! Having one Big rain gun sprinkler and a big industrial pump of 10 to 12Hp one can effectively irrigate 1 hectare of land simply by mounting the Sprinkler in the middle of the farm. What is the advantages of Rain Gun Sprinkler? *Rain Gun Irrigation plays the role of Nitrogen fixation. One of the major nutrient plant requires is Nitrogen. Atmospheric air contains 78% of nitrogen. As the Rain Gun resembles Rain, the water dissolves the nitrogen from air and gives it to soil, thereby adding nutritive value to soil. This is one of the reasons for increase in yield. * Reduces pest and insects attack: Pests and insects get washed away during Rain Gun irrigation. Less Cost: 1 Big Raingun (that can cover up to 100m diameter, when used with a big Machine_10-12hp) and stand costs about N119,900 to Lagos, Nigeria. We sell this on Preorder Basis Here: http://www.nairaland.com/2110962/pre-order-rain-guns-spraytubes-dripkits/8#59112961 Additional cost applies when we ship out of Lagos, Nigeria. * Smaller rain guns are available at affordable prices, contact us for further details. 2. Spray Tubes: Another Irrigation method we will be talking about are Spray tubes. This are flexible flat hose perforated at strategic points so that when pressured water pass through them the water will gush out from those holes in a uniform way on both sides. They have a jet length, coverage area of 4m average (2m to the left and 2m to the right) and that means that a 1000m length of spray tubes will be sufficient to irrigate 1 acre. They do not necessarily need a high powered pump, however depending on the size of the land you can power with a 5m high over head tank or pump water directly from a borehole ,Well or a water body using a mud pump. Video of how We watered our Ugwu using spraytubes in the dry season. * Cost: We sell the Spray tubes in 200m rolls at N17,900 per roll via Preorder on this Thread: http://www.nairaland.com/2110962/pre-order-rain-guns-spraytubes-dripkits/8#59112961 and N19,900 per roll if we have the item in stock. Spray tubes placed in between 2m wide raised bed. 3. Drip Irrigation System is by far the most effective irrigation system for exotic vegetables most of which do not like water to stay long on their leaf like tomato, some specie of cucumbers and others. However most farmers do not use this type of irrigation due to its initial investment cost. How can I use over N400,000 just to Irrigate one acre some question me when I recommend such to them. There are basically 2 types of drip Irrigation systems: The first is factory perforated drip system, this ones have a defined spacing say 30cm or 50cm between one drip emitter and the other. If you want to cover a large area on drip tapes, we highly recommend that you procure them through us and we ship via sea, in such way you will get a High quality 20km factory perforated Drip Irrigation system(that will cover 2 hectares or 5 acres) only with all necessary accessories for only N990,900 naira Only…with a N590,900 down payment and you get it within 2 months from time of goods been shipped. This offer is for a limited time only, Contact us today for this offer! The second however consist of an unperforated drip line and you have to use a puncher to make holes and connect an emitter to the holes-this method is used majorly for plantation crops that requires much water like plantains as shown in the picture below…One hectare of irrigation materials and installation of this system costs N849,900 only. Please call/WhatsApp +2347036931636 or visit: Preorder Irrigation systems for the 2018/2019 Dry Season for latest prices!